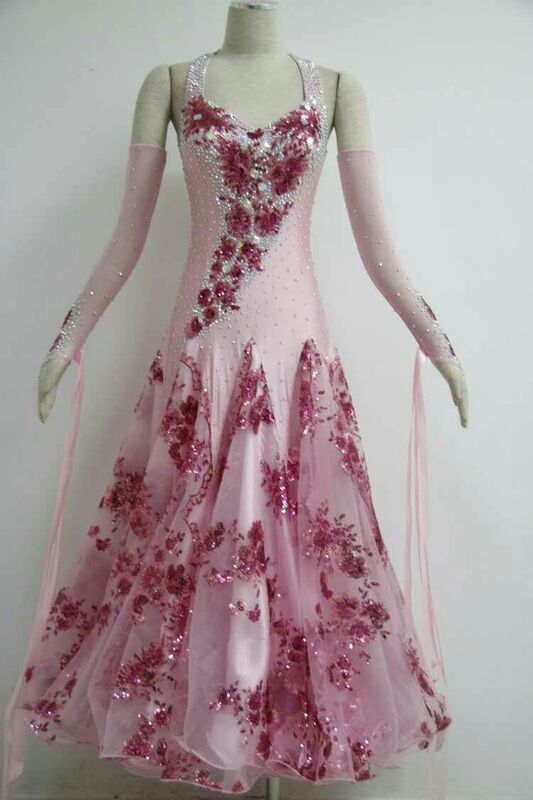 This pink Ladies Ballroom Dress is make of pink lycra and decorated with pink appliques. This dance cloth has an open back, it will surely catching all eyes. With a halter neck design complementing the dramatic open back, this dress is positively charming. 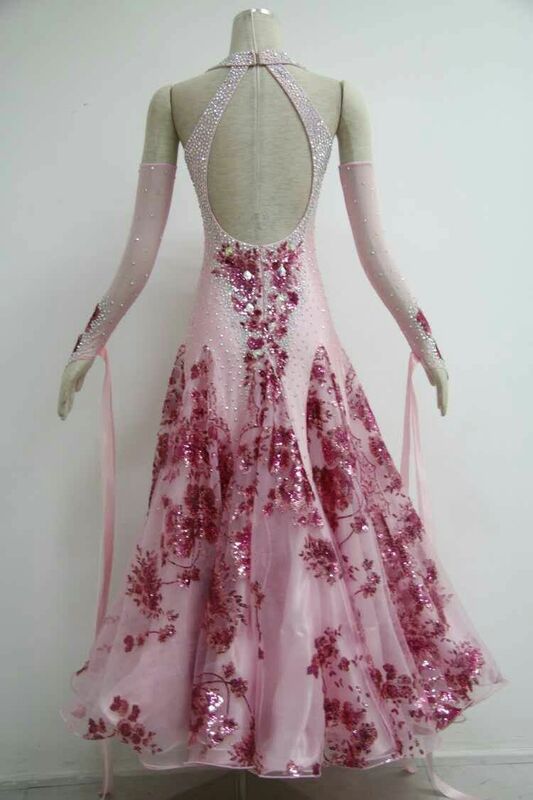 This girls ballroom dress is beautiful, as the stones full decorated the dress and the pink appliques fully decorated the whole dress. Dare to show your unique dance style in this pink ballroom dance dress, the open back reveals just the right amount of skin. 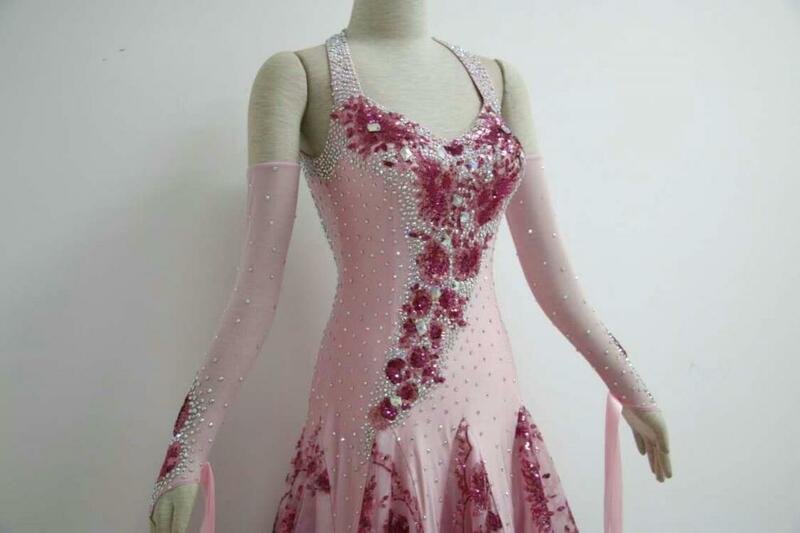 This ballroom dress can as a ballroom dance competiton and Party Dance Prom Dress too. 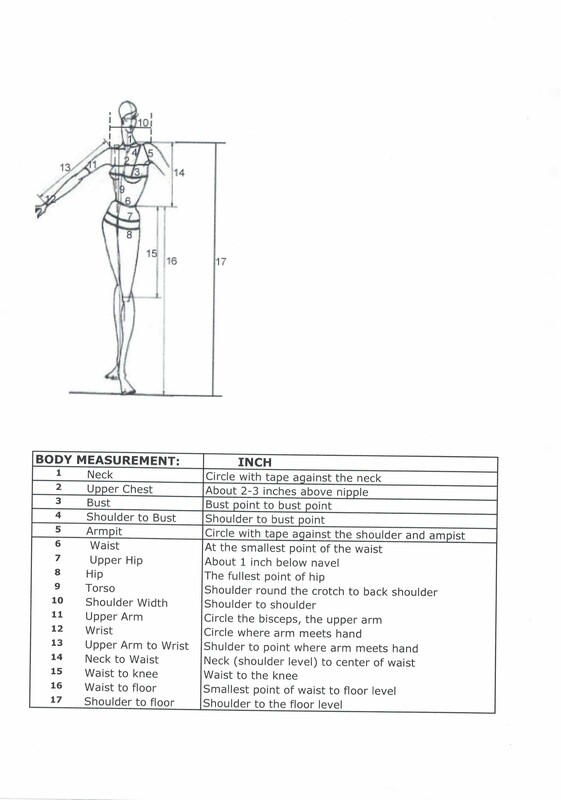 Looking for ideal Ballroom Dresses Plus Size for Girls Manufacturer & supplier ? We have a wide selection at great prices to help you get creative. 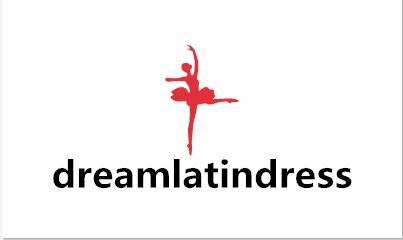 All the Pink Ballroom Dresses Plus Size are quality guaranteed. 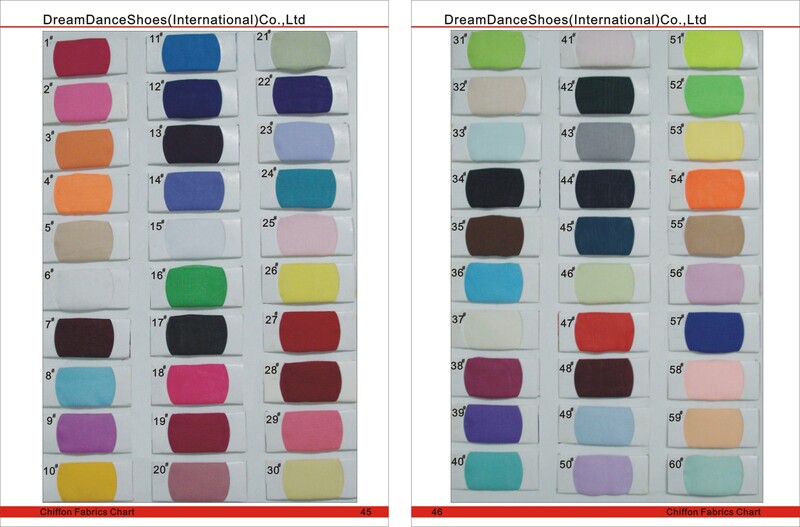 We are China Origin Factory of Ballroom Dance Dresses Plus Size. If you have any question, please feel free to contact us.